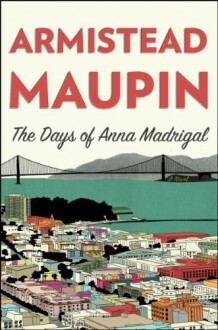 The Days of Anna Madrigal, the suspenseful, comic, and touching ninth novel in Armistead Maupin’s bestselling “Tales of the City” series, follows one of modern literature’s most unforgettable and enduring characters—Anna Madrigal, the legendary transgender landlady of 28 Barbary Lane—as she embarks on a road trip that will take her deep into her past.Now ninety-two, and committed to the notion of “leaving like a lady,” Mrs. Madrigal has seemingly found peace with her “logical family” in San Francisco: her devoted young caretaker Jake Greenleaf; her former tenant Brian Hawkins and his daughter Shawna; and Michael Tolliver and Mary Ann Singleton, who have known and loved Anna for nearly four decades.Some members of Anna’s family are bound for the otherworldly landscape of Burning Man, the art community in Nevada’s Black Rock Desert where 60,000 revelers gather to construct a city designed to last only one week. Anna herself has another destination in mind: a lonely stretch of road outside of Winnemucca where the 16-year-old boy she once was ran away from the whorehouse he called home. With Brian and his beat-up RV, she journeys into the dusty troubled heart of her Depression childhood to unearth a lifetime of secrets and dreams and attend to unfinished business she has long avoided. New Review! The 31st and last day of July's Book-A-Day meme asks us about a book that reminds us of someone special. I chose http://tinyurl.com/knkvqa8 My dear Gentleman Caller. A love story about daffy and flawed people? How could I *not* think of him? They're giving away arcs!! I'm so happy!